The name may be different but the traffic remains. The “F3” is no more, with the freeway between Beresfield and Sydney officially renamed as part of the M1 Pacific Motorway yesterday. 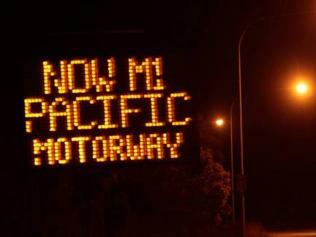 It forms part of the state government’s roll out of an alphanumeric system to tell motorists whether they are travelling on a motorway (M), route of national (A) or state significance (B). An RMS spokeswoman said the motorists would notice new signs being revealed that display the new name. “Work to update routes across the state started in May this year and is expected to be complete by the end of this year,” she said. NRMA Hunter director Kyle Loades said road users would need to familiarise themselves with the new names but that the changes made sense. “The NRMA does endorse it because it will make it easier for motorists not only across the state but Australia,” he said. The opposition has described the change as a waste of money. Labor said it showed motorists would struggle.